Dr Oliver Charles Cockerell is a Consultant Neurologist, with expertise in many neurological areas. His main interests are in general neurology, epilepsy, stroke, post-head injury, whiplash, and headaches. In addition to neurological consultancy, Dr Cockerell also provides expert medico-legal examinations, advice, and reporting, specialising in personal injury cases. 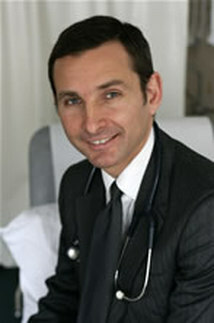 Dr Cockerell is a Private Neurologist, practicing in London, Hertfordshire, and Essex. Before holding private practice, Dr Cockerell was a Clinical Director at Barts and The London NHS Trust. He has also been a Senior Lecturer in Academic Neurology and has published many research papers and academic articles. He trained in London in general medicine before carrying out specialised neurology training at The National Hospital for Neurology and Neurosurgery and The Institute of Neurology, Queen Square, London. The Holly Private Hospital, Buckhurst Hill, Essex IG9 5HX. Rivers Hospital, Sawbridgeworth, Herts CM20 0HH.